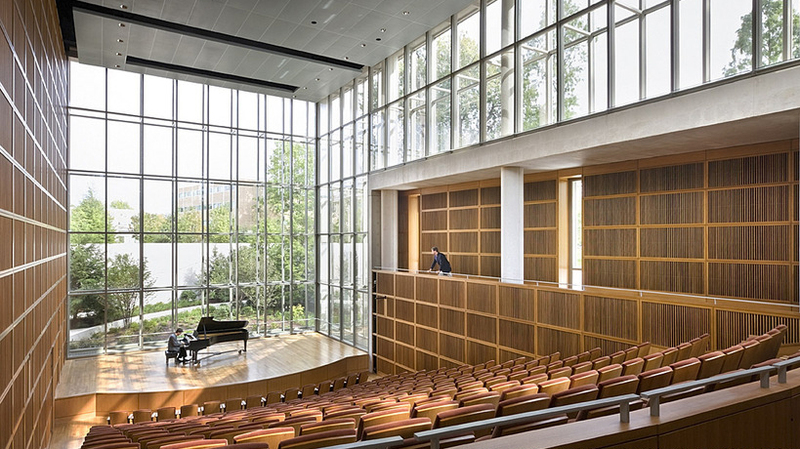 Mixon Hall, a 250-seat recital hall, is the centerpiece of the recent expansion to the original 1950s CIM building. The hall is distinctive for its highly variable room acoustic environment and its abundance of natural daylight in a music performance hall. Careful siting and geometry of the building screen direct sunlight penetration, and robust double skin glazing provides a high degree of isolation from external noise. The room acoustics are varied by way of movable soft goods that operate behind the wood-baton screen walls.